@BifBangPow: 2011 Comic-Con Exclusive #2 Revealed. Pre-Orders Start Now. 2011 Comic-Con Exclusive #2 Revealed. Pre-Orders Start Now. 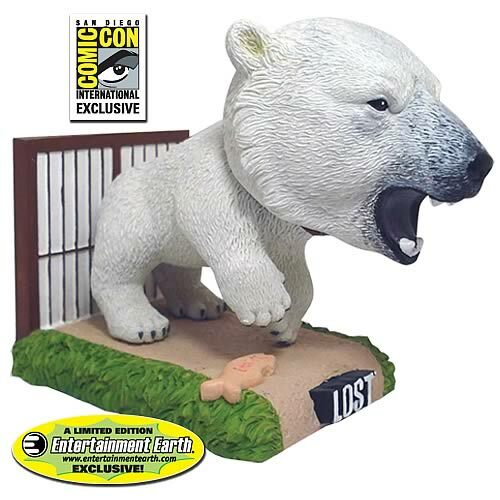 Sensational Polar Bear Bobble Head from Lost! This item was shown at New York Toy Fair, and we are officially announcing it and accepting pre-orders starting now! This is the last Lost item we are manufacturing, so be sure to collect them all while supplies last. We want to thank all of our fans for supporting this line, and to our friends at ABC / Disney for making this line happen. Don't forget to also pre-order the final six EMCE "Mego" style Lost action figures here. 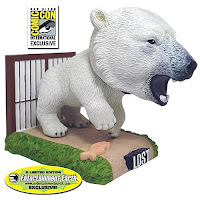 All items are available for pre-order now, and will be available first to those fans coming to the Entertainment Earth booth #2343 at San Diego Comic-Con 2011.